Psoriasis is a condition of the skin that can affect anyone regardless of age and gender. A person who is suffering from psoriasis will have red, flaky, rough, dry, skin patches, that are incredibly itchy. Normally, new skin cells are produced within a period of approximately 30 days. During this cycle, the dead skin cells are sloughed off naturally. However, this is not the case for someone dealing with psoriasis. 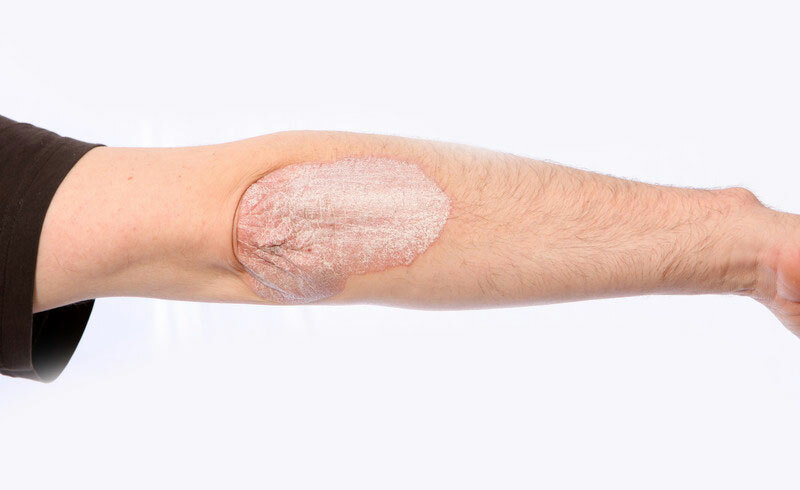 A person with psoriasis may only take three to four days to bring new skin cells to the surface but the dead cells are not departing at the same rate. As a result, the dead skin cells keep building up on the surface of the skin. They haven’t had time to do the cycle. These plaques or scaly patches are mostly found on the lower back, elbows, ankles, knees, knuckles and scalp. If you are looking for natural ways to ease the symptoms of psoriasis and speed up healing, try some of the following. Applying aloe vera gel to the affected areas may help improve the symptoms of psoriasis. This should be done three times a day. Dr.Andrew Weil discovered that 83% of those afflicted with psoriasis experienced significant improvements in their symptoms by doing so. 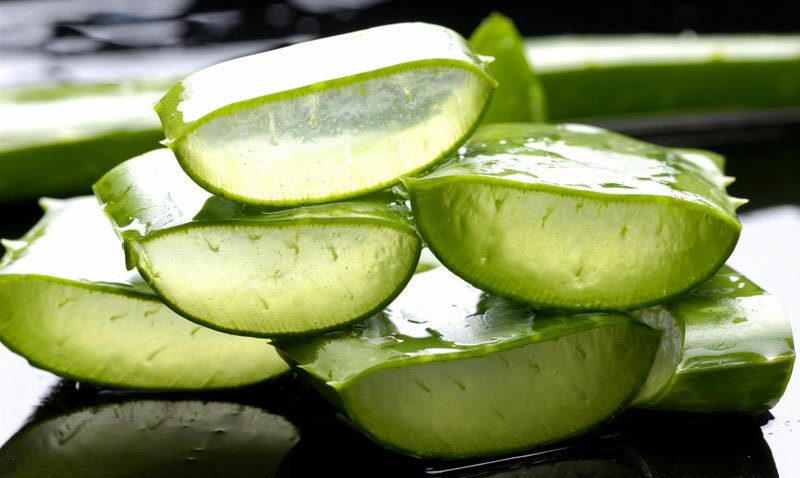 He also added that using pure aloe vera gel may prove to be more effective than aloe vera cream which may contain other (non-beneficial) ingredients. Capsaicin cream – made from cayenne peppers – works effectively in reducing the itchiness, redness and scaling caused by psoriasis. 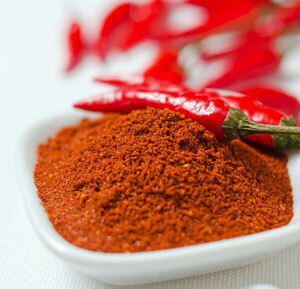 Cayenne peppers contain active compounds that have anti-inflammatory effects. They also help promote faster healing. During the first few topical applications of capsaicin cream, the patient may experience a burning sensation. Although effective, you do have to be careful not to apply to any broken skin, as it may be more painful than the psoriasis itself. Olive oil locks nutrients and moisture in the skin which makes it helpful in reducing dryness. Apply some olive oil to your skin before and after taking a bath. Witch Hazel – this distilled bark extract is used in Germany for treating psoriasis. Licorice Root and Evening Primrose Oil – can be taken internally and have anti-inflammatory properties. Liquid licorice extract can also be applied topically using a cotton ball and this has been known to work as effectively as any corticosteroid product. Flaxseed Oil, Walnut Oil, Garlic and Avocado – these can all be used as topical applications. Apply any of these herbal remedies onto the psoriasis patches to help moisturize the skin and speed up the healing process. Eating the right foods is a crucial part of any psoriasis treatment. Chicken, beef and turkey can be eaten by psoriasis patients, if they are lean. 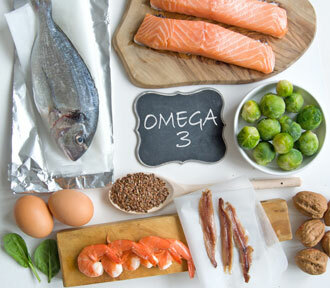 You should also add salmon, herring, mackerel, and any other fish to your diet, to receive rich sources of omega 3 fatty acids, which help reduce inflammation. Include fresh fruits and vegetables to your diet to obtain antioxidants, vitamins A and C. These fruits and vegetables will also help in keeping your skin moisturized and well-hydrated. When treating psoriasis, consistency is the key. The above-mentioned natural remedies must be applied religiously in your daily skin care regimen in conjunction with other habits that make up a healthy lifestyle.